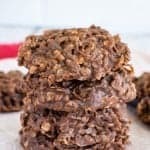 The hidden chocolate center in these Coconut Nutella Cookies will make these sweet treats your new favorite cookie. This list is what caused my husband to think I am nuts. Please reassure me and tell me that you have crazy lists too. Maybe they aren’t lists full of sugary laden treats like mine, but I would love to know I am not the only one with a crazy list that is never ending. Happy day! I got to cross one of the items off the list. Sadly I added about 4 more over the weekend. What I can I say? Got sugar. On the brain that is. Back to crossing one off the list. Last summer my husband and I had the opportunity to go to St. Maarten for a week without our kids. Best vacation spot EVAH!!!! We are definitely going back with the kids sometime. For breakfast one day I had Coconut Nutella crepes. So you can guess what I added to my list…coconut nutella something. I knew I wanted to make something with those two flavors paired together. But it also had to be just the right recipe. These cookies were the right choice for this combination. Just enough coconut, plenty of chocolatey Nutella. Took me right back to the beach…which in winter is where I really want to be. 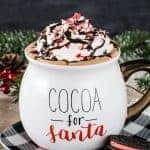 Do yourself a favor and make some for your favorite somebody, or just make them for yourself to enjoy while the kids are in school. It’s ok. I won’t tell. Cream 1/2 cup shortening and sugars in a large mixing bowl. Add the egg, milk, and extract and beat well until creamy. Slowly add the baking soda, salt, and flour. Stir in the coconut. Roll the dough into 60 - 1 inch balls and set on wax paper. Make an indentation in the center of 30 ball. Fill with Nutella. 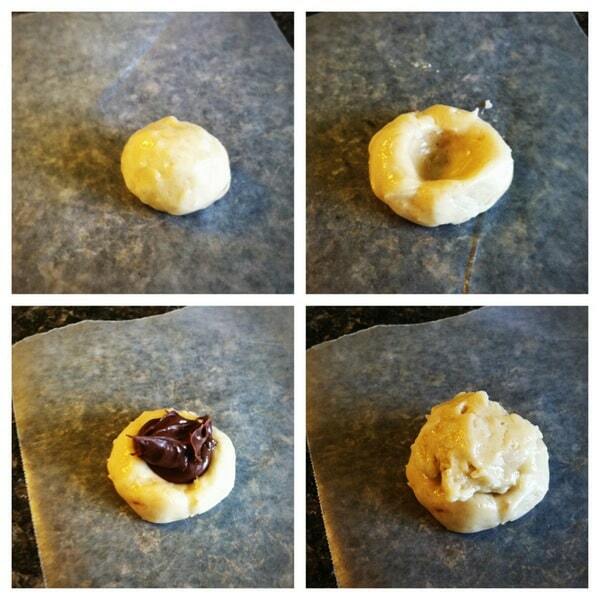 Cover the Nutella with a flattened cookie dough ball. Seal the edges and roll into a ball again. (the dough is very sticky) Repeat with any remaining dough. Place the dough balls onto an ungreased baking sheet about 2 inches apart. Bake for 9-10 minutes. Cool on wire racks. Melt white chocolate chips and 1 teaspoon shortening in microwave safe bowl. Spoon into a plastic baggie and cut the tip off. Drizzle cookies with white chocolate and add sprinkles. Keep in a sealed container for best taste. Oh my goodness girl, they look fabulous. And of course I’m a list maker. I mean, duh, we’re like twins and all. I have a notebook of “ideas.” Then I have another one of recipes I have written but haven’t made yet. Then I have about one million post-it notes all over the desk of more ideas that haven’t made it to said notebook yet. Ugh. Finally, your pictures are gorgeous. LOVE them!! Yum, yum, yum! These sound soo good! And no fear–I also have a (very extensive) list of “Things I’d Like To Bake” where I continually add about a bajillion things a week yet only make about 2 off the list. I don’t think it’s crazy–we’re just organized and motivated to spread the sugary love! I, too, have SO many things on my list and am adding all the time. 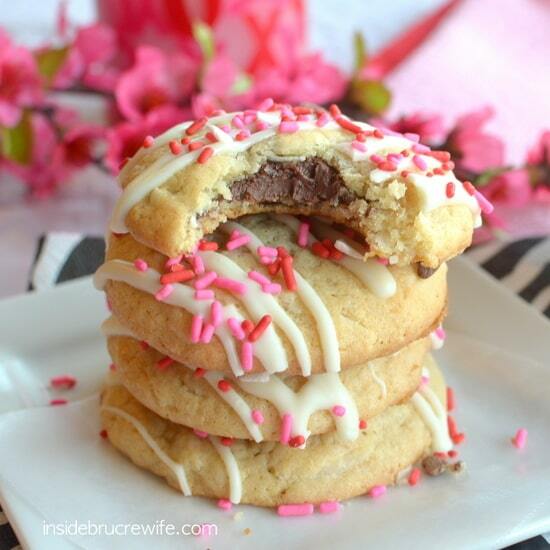 One of them is actually a Nutella cookie similar to this one! These look SO good. Must make! You have to bring these to Foodie Friday this week. They are gorgeous! These look great. Don’t worry – you have no problem. We are all the same 🙂 Huge “to bake” list here. I add to it at an exponential rate! These will be my Valentine cookie to make for everyone ! I adore Nutella ( just ate some Right out of the jar) . You’re not crazy! I also have a list! But you must get through your list much faster than me because you’re always posting new goodies. I hardly ever have time to cross off anything! These cookies look so good!! I am a new follower of your site. So yummy and pretty too! Love your photos and all the colors! Oh, heck yeah! These are two of my fav flavs in the world. I can imagine how divine they would be stuffed into one little cookie. Great blog, glad to have found you! These look amazing. I am hosting a Valentine contest starting the 16th with lots of great prizes for our two winners. 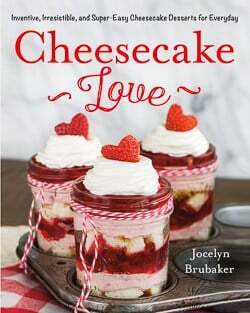 Hope you will link up your Valentine themed posts old and new for a chance to win! I have a list, the trick is to not let the hubby see it, that way he cannot judge. These are going on my list for sure. 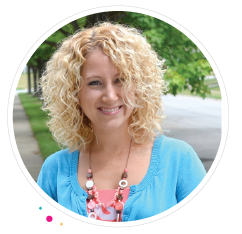 I would love for you to share this at my first linky party this weekend @CountryMommaCooks starts tonight at 9 central….Have a great weekend! Pinning these! My nutella addicted daughter will think they are the ticket to happiness! Yum! Wow they look and sound delish!!! Mmmm…what a wonderful combination of flavors Jocelyn! 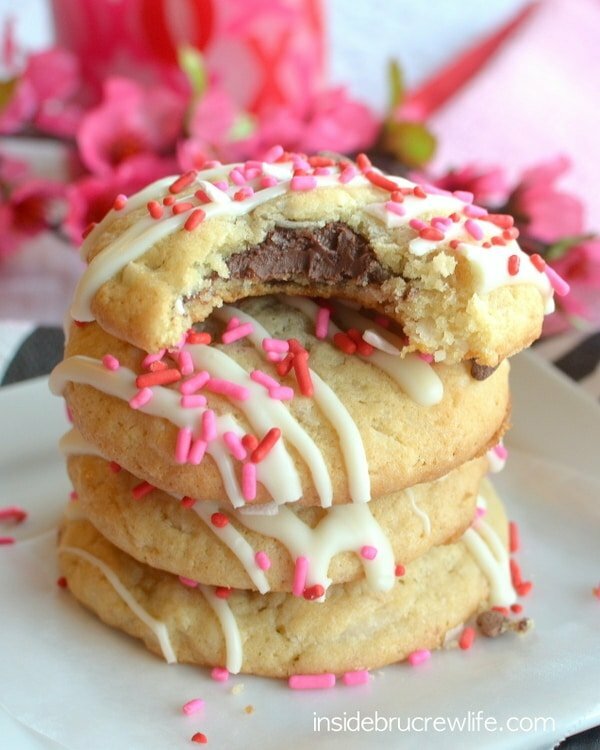 I love the way the icing and sprinkles make the cookies look so sweet and Valentiney too! Nope, not crazy at all! 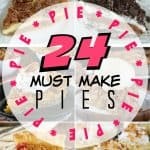 I keep of list of recipes I really would like to try. These cookies look awesome! I just found your blog and I am in love! 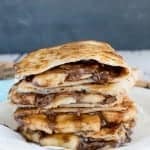 Nutella and coconut are in my cabinet right now and I think I need to get them out for this recipe. Sounds amazing! 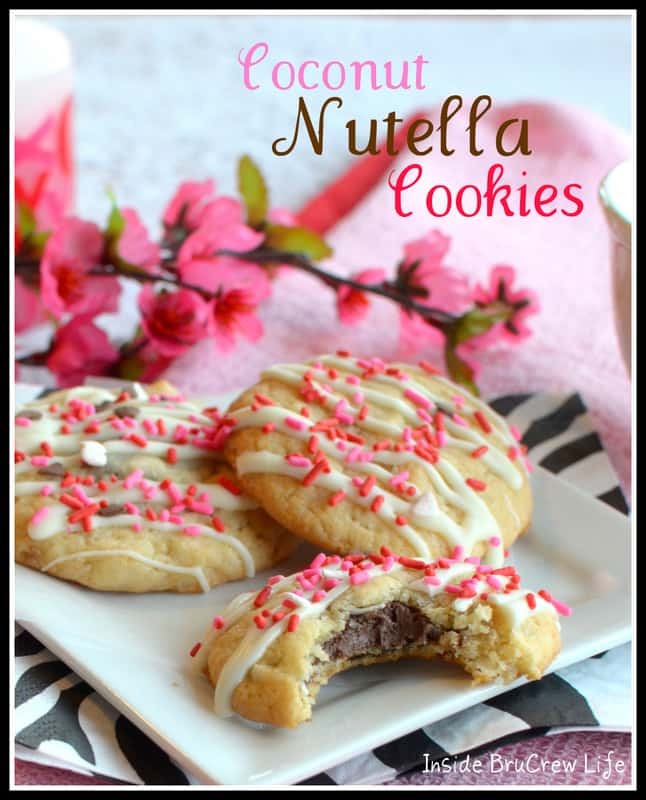 So how many cookies do you get with this coconut nutella recipe? If I remember right, it was about 36 cookies. I saw these on Google Plus and had to come over to pin and make eventually. 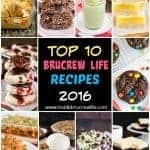 I’m not sure what’s longer – my list of recipe ideas or my list of recipes from others to try! I write my ideas in a planner, on my iphone, and sometimes random pieces of paper at work (when I can’t be on my phone). 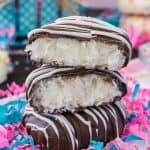 Love chocolate and coconut, so I know these will be a hit. I hear you on the lists. With all the blogs I read, my list of “want to try” keeps getting longer too! I’m glad I’m not the only one with lists every where 🙂 I hope you enjoy the cookies when you try them! I know some places call it lard…you want to make sure it is a vegetable base though. You might be able to substitute butter for the shortening…but I have not tried that. Let me know if it works for you! Hee-hee….many of us would not have a list if you wouldn’t give us so many GREAT recipes 🙂 but keep them coming…..this one looks so great…..don’t know when I will get around to making them all……but I sure want to…..real anxious to make this one tho….. These look delicious! I’m a little confused about rolling the dough into 30 balls – then is there supposed to be dough left after this to use to cover the Nutella in the indentation in the cookie? Just wondered where this “small flattened piece of dough” was coming from? I would love to make these for a shower I’m hosting soon! Thank you for your help!! Yes, you will have dough leftover after you make 30 one inch balls. Use the leftover dough to cover the tops. I hope you enjoy the cookies!! !